Like Windows 7, it is possible to centralize quickly and simply in one place a multitude of shortcuts in order to simplify the tasks of maintenance, improvement, optimization and personalization of the system. 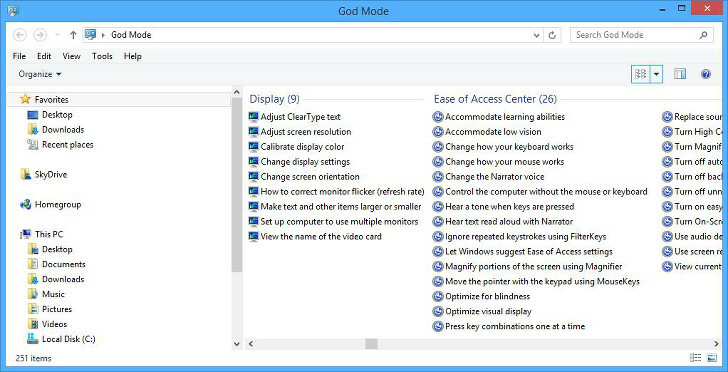 This trick is proving very useful in front of access sometimes quite complicated to certain parameters of Windows 10. 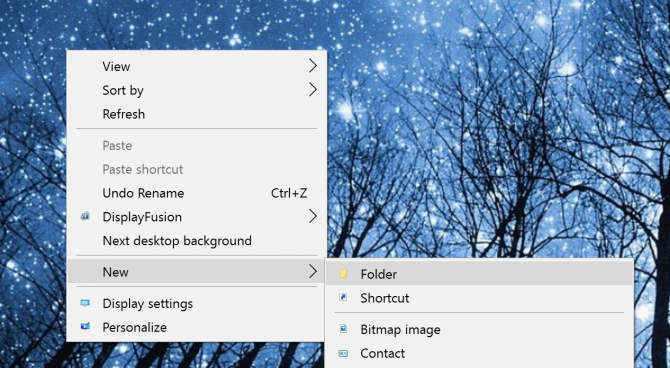 It consists of creating a folder at any place, we have here opted for the desktop but it is possible to do it on the disk and folder of his choice. 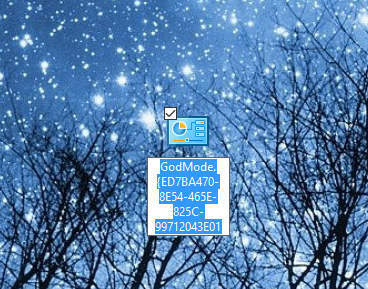 To do this, a simple right click of the mouse opens a menu and "New" then "Folder" will accomplish this task. 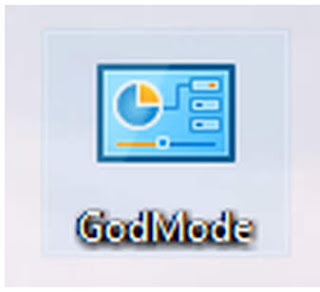 Open the GodMode folder to access over 260 commands, from administrative tools to backup tools to internet options and other important settings. We advise you to pay attention to access to this new "special" folder in order to avoid inexperienced users from doing anything at the risk of damaging the system.